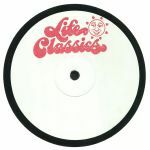 Review: Sanctuary's second selection of "Life Classics" - hot-to-trot re-edits championed by serious crate-digging DJs such as Red Greg - arrives some seven months after volume one was released (and promptly flew off the shelves). So what have they got in store for us this time round? Well, EP opener "Stay Together" is a deliciously rich and loved-up chunk of jazz-funk/disco-soul fusion, with dewy-eyed female vocals and ace jazz guitar solos riding a breezy groove, while "All To You" is a fine rework of an '80s soul-era chunk of synthesizer space boogie. 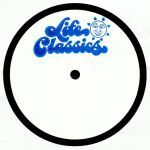 Elsewhere, "My Love" is a stripped-back, bass-heavy chunk of heady disco goodness and "You Do" is a storming peak-time affair rich in swirling disco orchestration and urgent vocals.